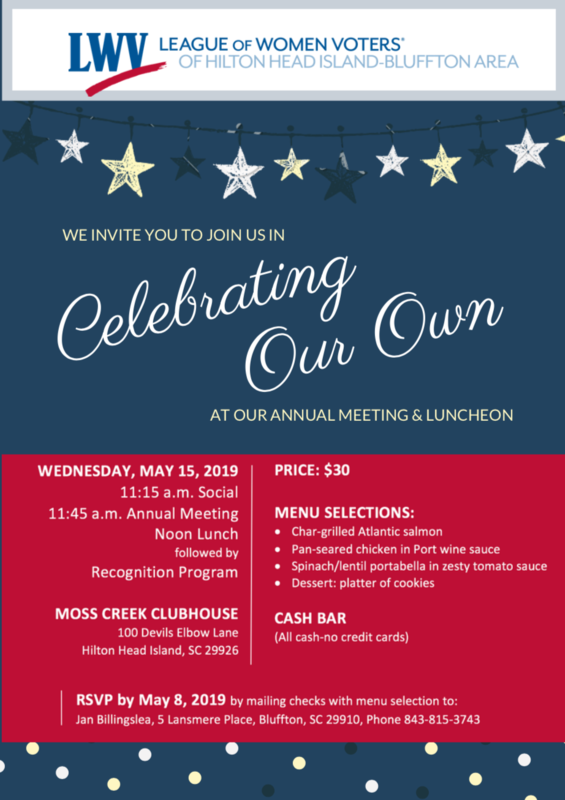 League annual meeting and luncheon "Celebrating Our Own" members and accomplishments. Jan Billingslea, 5 Lansmere Place, Bluffton SC 29910. Enclose $30 check payable to LWV HHI-BA and indicate fish, chicken, or vegetarian entree. After passing through the Security gate, continue on Moss Creek Drive. At the first stop sign, take a right onto Devils Elbow Lane. The clubhouse is on your immediate right.